with the most glory wins the game. 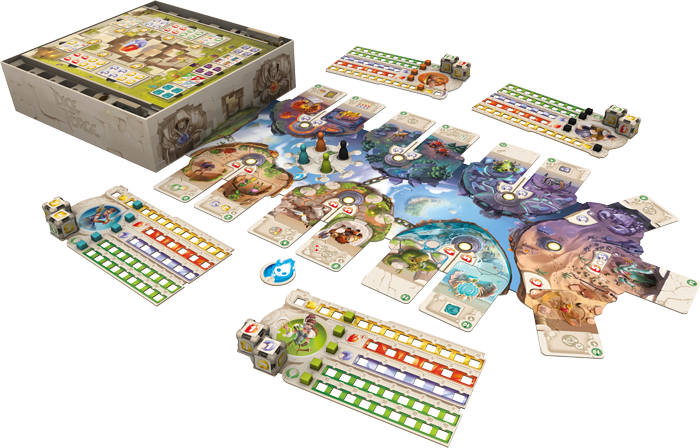 resources—gold, sun shards, and moon shards. 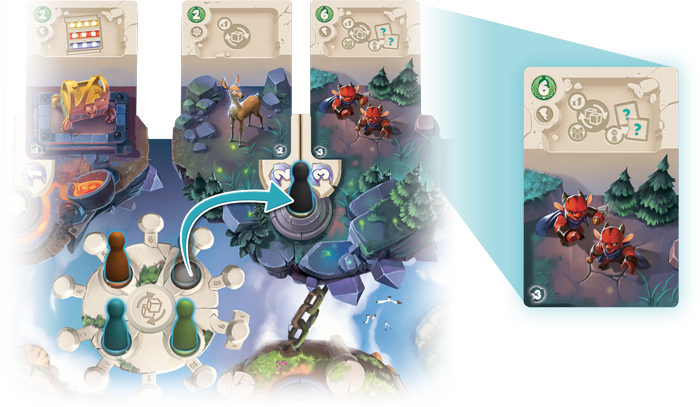 you’ll have the chance to improve your dice. 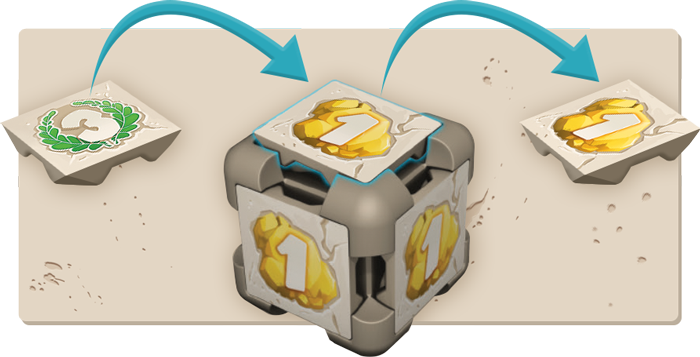 Two actions: Visiting the Temple and Accomplishing Heroic Deeds - are the heart of a game of Dice Forge. spend your shards and your actions. 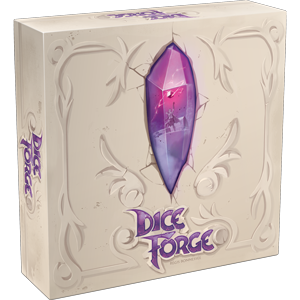 your dice in every game of Dice Forge!